EU-Turkey deal: What has its impact been? Three years since the signing of the EU-Turkey deal, what has its impact been? In March 2016, the EU and Turkey struck a deal designed to stop the flow of migrants from Africa and the Middle East to Europe's shores. But now aid agencies are warning that the Greek islands have become a "dumping ground" for vulnerable migrants that the EU has failed to protect. What was the idea behind the deal? Under the agreement, any migrants crossing to Greece from Turkey, would be sent back to Turkey if they did not apply for asylum in Greece, or if their claim was rejected. They were not allowed to move on to the mainland of Greece and on to other parts of Europe, like hundreds of thousands before them. In return, for every Syrian migrant sent back to Turkey, one Syrian refugee from Turkey would be sent to settle in the EU. However, Amnesty International says the resettlement of just over 8,000 Syrians was carried out in 2018, while around 3.6 million remain in Turkey. In parallel, out of 32,494 total sea arrivals to Greece in 2018, returns to Turkey amounted to only 322. 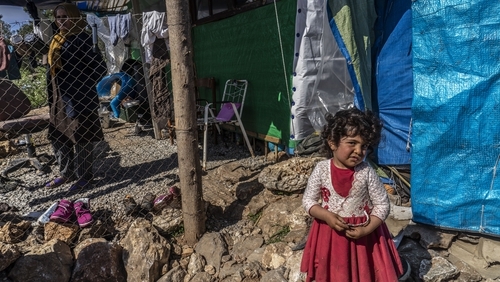 Three years since it was implemented on March 20, 2016, aid agencies including Médecins Sans Frontières/Doctors Without Borders (MSF) say the effect of the deal has been to trap close to 12,000 vulnerable people in unsafe and unsanitary conditions. "Greece has become a dumping ground for the men, women and children that the European Union has failed to protect," says Emmanuel Goué, MSF's Head of Mission in Greece. "What was once touted as a 'refugee emergency' has given way to inexcusable levels of human suffering across the Greek islands and on mainland Greece. The EU and Greek authorities continue to rob vulnerable people of their dignity and health, seemingly in an effort to deter others from coming. This policy is cruel, inhumane and cynical, and it needs to end." Dr Declan Barry, an Irish doctor originally from Longford, has been working in Greece for over two years. He is MSF's medical coordinator in Greece and has worked with many migrants, particularly in Moria camp on the island of Lesbos. He told RTÉ News: "The living conditions are a disgrace. They are very overcrowded. There is poor protection and an awful lot of hygiene related diseases, certainly amongst children." But he says that the most profound impact is on the mental health of migrants who do not know what their futures hold, and who feel trapped on the island camps. "We see a lot of people who have very severe mental health conditions. They are people who have made suicide attempts and are self-harming. They have psychotic disorders and PTSD. This population often arrive to Lesbos as survivors, they are people who have survived torture and violence and war and very traumatic journeys to get to Lesbos and they deteriorate when they get to Europe, when they get to these camps, and that is really quite devastating." He said the lack of certainty, community and dignity was creating a "devastating hopelessness" resulting in the most severe symptoms of mental health that he had witnessed in his career. It is not just aid agencies who have questioned the impact the deal has had. Earlier this year German Chancellor Angela Merkel also admitted that it was not working and criticised the Greek legal system for underperforming on deportations. During a two-day visit to Athens she told a group of students: "The Greek legal system is very complicated and somehow the sending back (of migrants) is not working." What are aid agencies calling for now? MSF is now calling on European leaders to take action to end the policy of containment on Greek island 'hotspots', and to ensure the immediate evacuation of all vulnerable people, especially children, from these locations. It says suitable accommodation should be found for them on mainland Greece or elsewhere in the European Union. MSF says that in Vathy camp, on the island of Samos, more than 4,100 people are crammed in a space meant for just 638 people. Vasilis Stravaridis, General Director of MSF Greece, said: "Today in Vathy, on Samos, more than half the camp's population are living in summer tents or under plastic sheeting, surrounded by rubbish and human excrement. In the month since MSF returned to Samos, we have been treating pregnant women and people with chronic health conditions, and providing group sessions for mental health patients. We plan to scale up our activities so that we can offer care to more people in the coming weeks." Amnesty International recently projected a message on the Acropolis in Athens to call on Europe's leaders to free the children, women and men held camps on the Greek islands. Meanwhile on the Greek mainland, thousands of migrants, who arrived after the EU-Turkey deal was implemented, live in camps or in temporary accommodation run by the UN or non-governmental organisations, while others live rough in squats or sleep on the streets. Whilst the overall number of arrivals has greatly decreased since the deal was signed in 2016, MSF says that more than 5,000 men, women and children have arrived in Greece since the beginning of 2019. The vast majority of arrivals are from refugee-producing war-torn countries such as Afghanistan, Syria, Iraq and Democratic Republic of Congo, and more than half are women and children. Spain, meanwhile, has overtaken Italy to become the number one route into Europe for migrants travelling by sea - with often deadly consequences. Twenty-five human rights and aid groups have now signed an open letter to European leaders calling on them to take "immediate and sustained action to end the unfair and unnecessary containment policy."